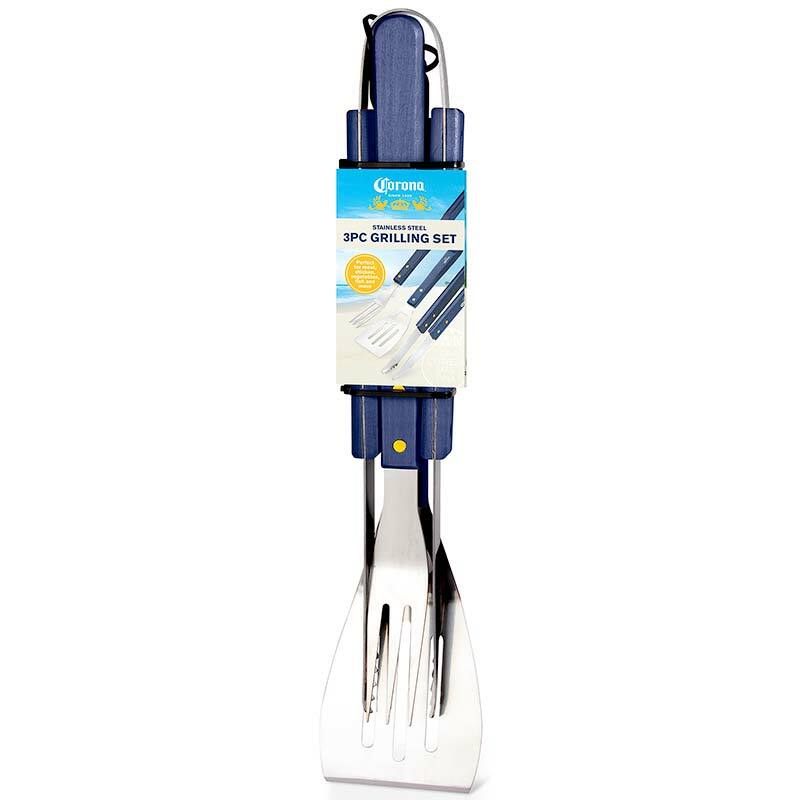 Authentic Corona grilling utensil set featuring wooden handles with the Corona logo. 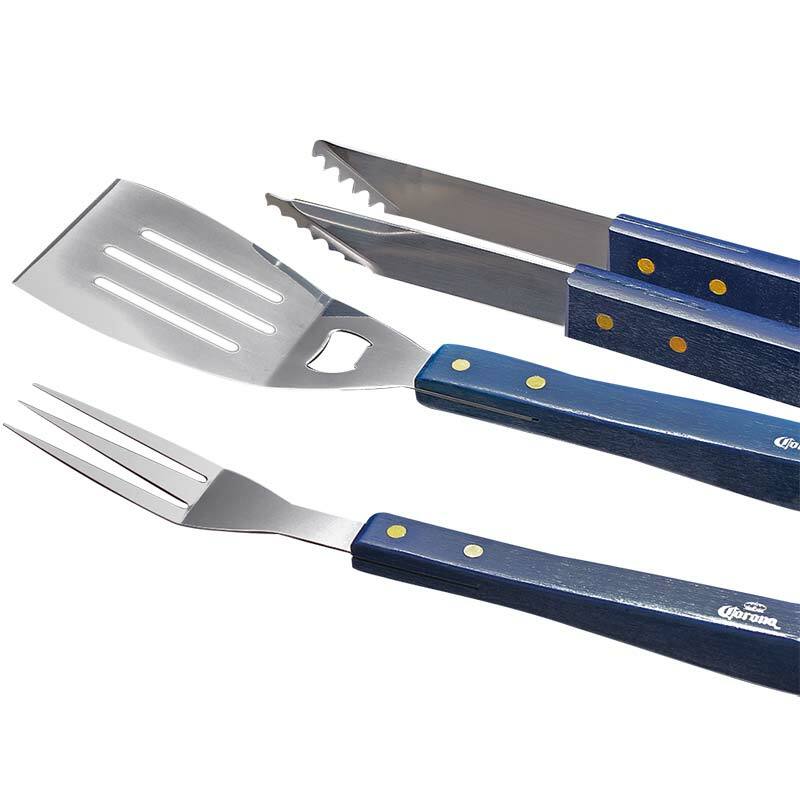 This set of 3 includes a fork, spatula, and tongs. Officially licensed.